Perfect moments deserve perfect, crystal clear water. The water maintenance of your spa is made easy by the features of the MAAX Spas®’ complete 6 step cleaning system. Water is first drawn into the system from both the upper skimmer and lower footwell areas. 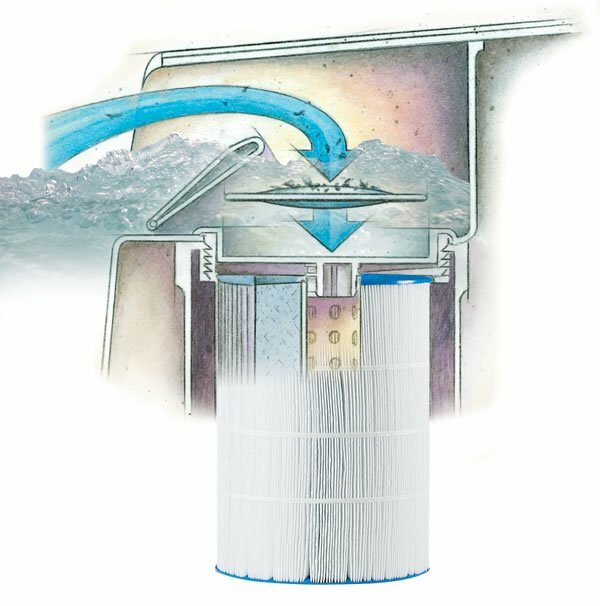 The High-Velocity Skimmer draws water into the filter system to capture surface debris and contaminants. Our 100% filtration means every drop of water is filtered before reaching the Powerworks™ 56 frame pump as our high volume filter cycle cleans your spa water 4 to 6 times per hour. Glistening clean water, in a moments notice.